John offers Divorce Angels users the first one-half hour free and then a 25% reduction off his hourly rate thereafter. John graduated from York University's Osgoode Hall Law School in April, 1983 and was called to the Ontario Bar in April 1985. He is a member of the Peel Law Association and has been a sole practitioner in Etobicoke (Toronto) since January, 1990. An extensive part of John's practice has been in the area of Family Law -- separations/divorces, custody of and access to children, child and spousal support, restraining orders, division of property. He also does Estates and Wills, and Real Estate. 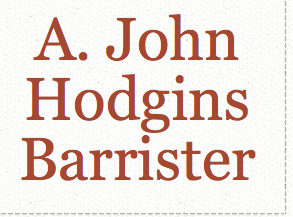 John has extensive knowledge of the ever-changing federal and provincial laws in the area, and the interpretations placed on those laws by the courts. He provides expert advice and assistance to all of his clients. With separation and divorce being one of the most stressful situations that one can face, it is John's goal to assist clients by assuming as much of the burden as they wish. His goal is to attain an amicable, fair Separation Agreement that can be entered into between the parties if at all possible. Only as a last resort, does he recommend that Court proceedings be commenced. If that is the case, John has extensive experience in the Ontario Superior Court of Justice and in the Ontario Court of Justice. He believes that the client comes first -- no matter the circumstances -- and always treats them with respect and compassion. John is committed to achieve the best possible outcome for all of his clients.